A doji occurs when the opening and closing price is the same (or close to it). Many traders think that this candlestick pattern is one of the best ones to trade. Heck, Steve Nison devotes a whole chapter to it! The reality is that this pattern doesn't tell you a whole lot. At best, it only tells you that the previous momentum has stalled. But you can make this pattern work for you. Here's how. The first thing that you need to know is that a doji is only significant after an extended move to the upside (for a short setup) or an extended move to the downside (for a long setup). Also, the doji should be at a support or resistance area. 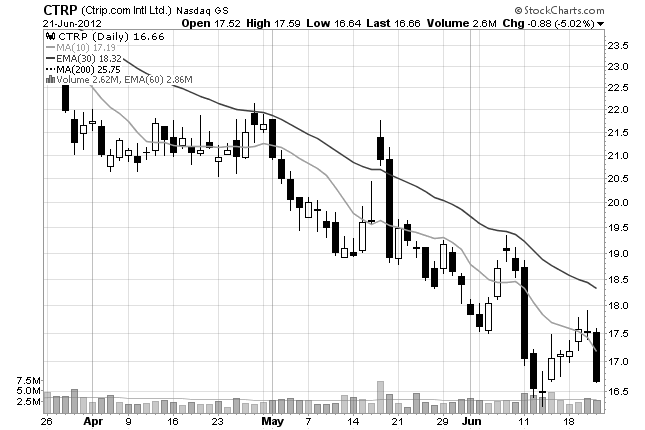 This stock formed a doji after consecutive up days and moved right into a previous support area at $17.50. 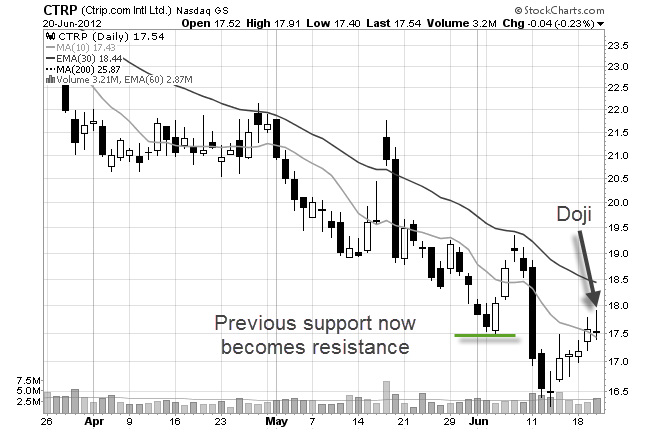 We know that a support area can become resistance once it is broken so this is a nice candidate for a short setup. But how can you tell if this stock is likely to reverse to the downside or just continue to the upside? Move down to a lower time frame and see what is happening inside of that doji. That is the only way to know. 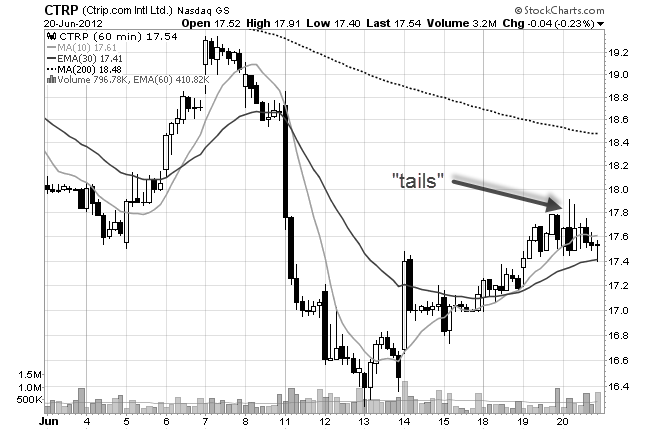 This stock has formed a diamond top reversal pattern and it has two "tails" that show that the sellers are getting aggressive at this price area. In a scenario like this you could short this stock on the day of the doji (for an aggressive entry) or wait until the following day to see if it trades decisively under that reversal pattern. Either way, your stop would go above those tails. Of course it doesn't always work out this way. But, you can significantly improve your success rate trading a doji candlestick pattern by hunting for those hidden reversal patterns in the lower time frames. Don't see a reversal pattern? Then it may be wise to look for another stock to trade.